A wedding dress is an ideal donation for a bride-to-be. 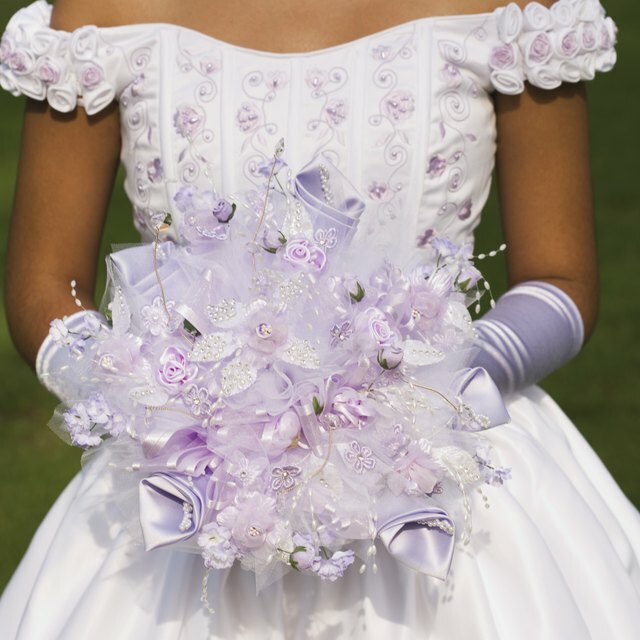 3 How do I Donate a Wedding Gown in St. Louis? If you are interested in donating a wedding dress in Canada, numerous locations exist where you can do so. Nothing thrills a bride-to-be who is struggling financially more than the gift of a wedding dress, or having the ability to obtain a dress at a significantly reduced price. Any dress donated should appear only gently used. Donating your wedding dress is an excellent way to give another bride the day of her dreams. Contact a local church in your area. Tell the church representative you are wanting to donate a used wedding dress. Ask her if any member of the congregation is in need of a dress, or if she can direct you to a person in need who is getting married. Donate your gown directly to a Goodwill location in Canada. A link is provided below under "Resources." Goodwill is known for helping the less fortunate. 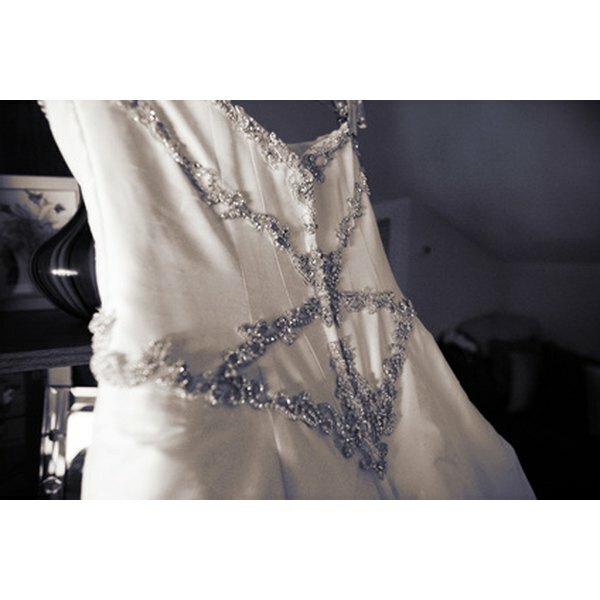 Give your dress to The Brides' Project. This organization sells the dresses, and the proceeds go toward fighting cancer. According to the group's website, it "shouldn’t cost more than about $15-20 to post it, and it will arrive in great shape. While this might sound odd, the best way to send it is to take it out of its ‘gown coffin.’ Turn it inside out, and roll it up like a sleeping bag. Since there will be acid-free paper in the packaging it has from your dry cleaner, you can wrap that around it as extra protection. Then pop it into the smallest box it will fit into." Charley Prescott has been writing since 2004. She has traveled the country and world extensively while working in the fashion industry. Her work appears on eHow, focusing on topics such as gardening, fashion and travel.